Announced in August 2018, Sony’s WH-1000XM3 Wireless Noise Cancelling Headphones are the latest iteration of a highly successful WH-1000X series designed to compete with Bose’s QuietComfort series. Sony’s challenge started in 2016 with the introduction of the MDR-1000X, followed by the WH-1000XM2 which debuted at IFA 2017. Similar to its predecessor, the WH-1000XM3 made its debut at IFA 2018. 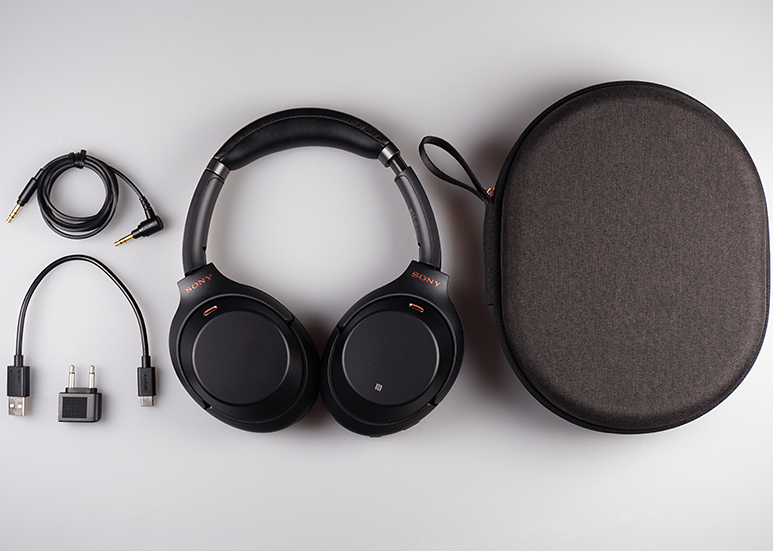 The headband-style around ear variant offers all of the much-loved features from its predecessor while adding multiple key improvements, including upgraded noise cancelling performance to enhance the listening and user experience. Will the WH-1000XM3 continue the legacy defined by its predecessor? Let’s find out. 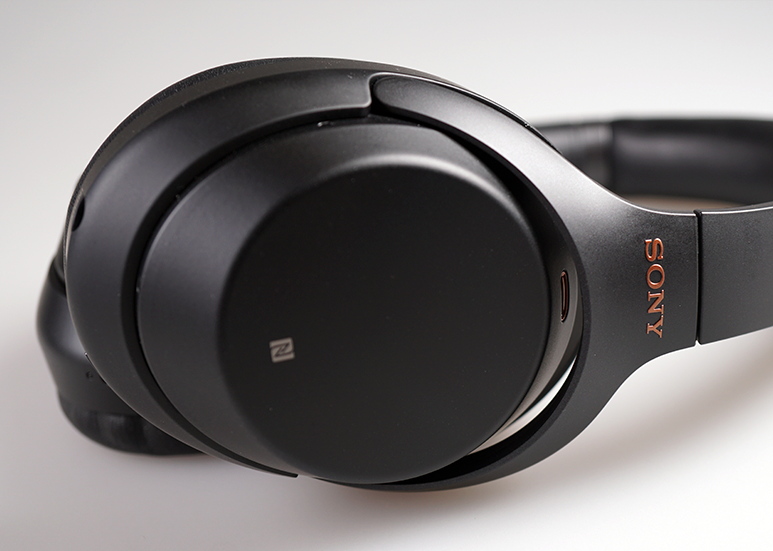 On the WH-1000XM2, Sony has kept what’s right with the MDR-1000X and made what’s good better, allowing the WH-1000XM2 to become a competent all-rounder that exhibits better physical design and smarter noise-cancellation. A product which many have cited to be matured, one which allowed Sony to stabilise its foothold after successfully challenging the reign of Bose. Adopting the same approach for the WH-1000XM3, the team at Sony made a number of cosmetic changes. The slightly textured finish on the earcup has been replaced by a smooth finish while two colour option remains; black with bronze accents and platinum silver with gold accents. The cosmetic changes contribute positively to the aesthetics of the WH-1000XM3, though the ear cups, in particular, the right which acts as a touch surface for volume and playback controls are now susceptible to visible fingerprints. On the left ear cup, Sony has added three MEMS microphones. These microphones are dedicated to capturing your voice for voice calls and voice assistant and are separate from the microphones used for noise cancellation (NC). 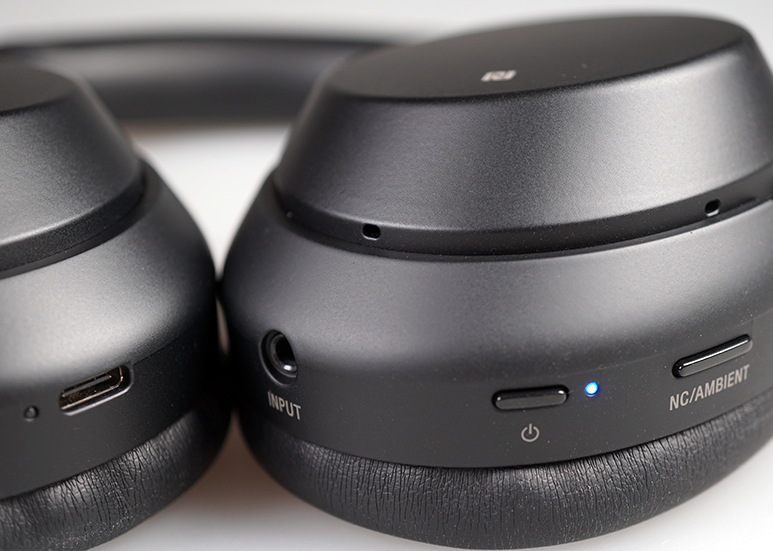 One can also integrate Google Assistant into the WH-1000XM3 through Sony’s Headphones Connect app, which turns the noise-cancelling button on the side of the left earcup into an Assistant prompt. This, however effectively removes the ability to toggle through listening modes via the touch of a button. Sony has also replaced the Micro USB port found on the WH-1000XM2 with a Type-C USB port, which made sense given that most new digital devices have adopted the Type-C USB, allowing many to double duty on the same Type-C USB cable. Like its predecessors, the USB port acts solely as a charging port. It is probably appropriate to mention that the Quick Charge feature has been drastically improved. On the WH-1000XM3, 10 minutes of charging will give you five hours of battery life, as opposed to 70 minutes on the WH-1000XM2. A full charge of the battery from flat now takes three hours, down from four. While the battery life remains 30 hours with wireless and NC turned on, it is still an industry-leading figure. The automatic power-off function, designed to conserve battery when no audio signal is detected, can now be adjusted via Sony’s Headphones Connect app. The app allows one to set the amount of time before the power cuts off. This, in my opinion, is a great feature as it allows those who want to activate NC without listening to music to do so by turn off the auto-off timer. This functionality allows anyone to have a quiet environment regardless of whether it is for undisturbed concentration or just a quiet nap. The chassis of the headphones remain primarily plastic for obvious reasons, the WH-1000XM3 weighs 22 grams lighter than its predecessor, tipping the scales at 255 grams down from 275 grams. While this might not seem to be a great deal, however, if you are wearing these for prolong period of time, i.e. on a transcontinental flight, any reduction in weight will have your neck thanking you. 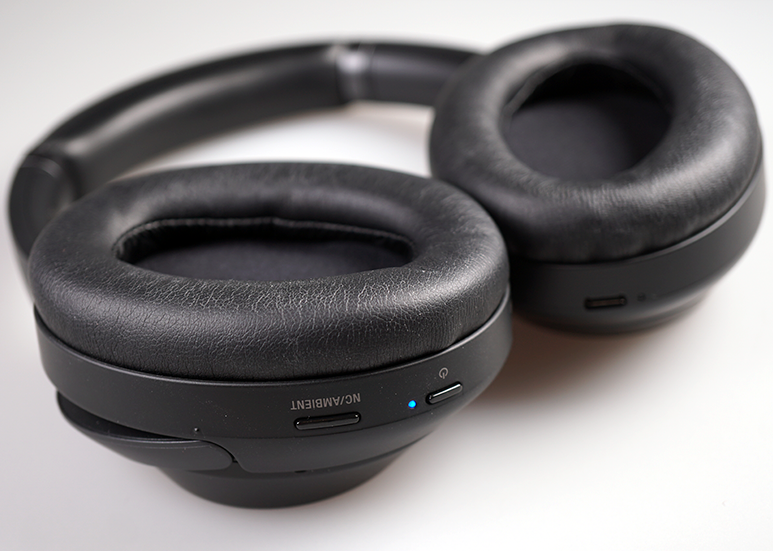 Furthering the comfort aspect, the headphones feature an improved headband with an arch that is less pronounced, allowing the headband to sit closer to the head for better weight distribution as well as a 20% increase in the overall footprint of the earpads which allowed wider and deeper space for your ears. 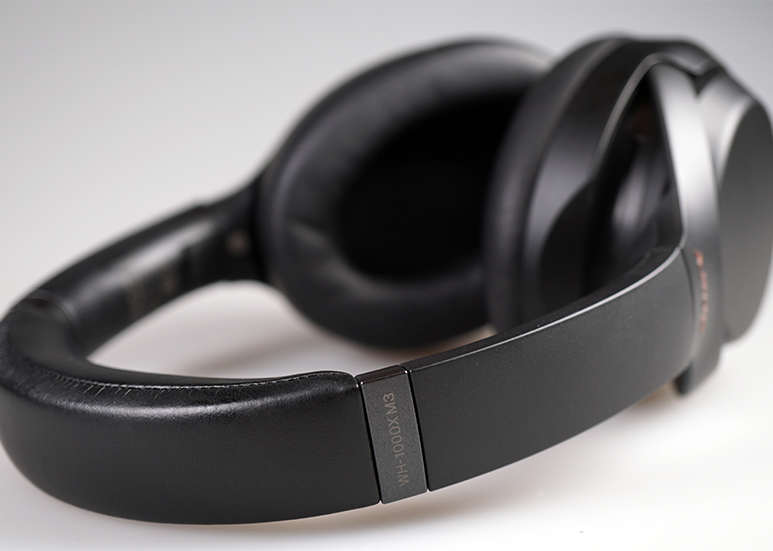 The Sony WH-1000XM3 sports faux leather on the headband and ear pads, there is also a better hinge design addressing one of the commonly mentioned issues of its predecessor. The two physical buttons (Power/Pairing and NC/Ambient) are also more solid and more responsive to touch. A tap on the power button will also reveal how much battery power is left with a voice announcing the percentage level in your ear. The Sony WH-1000XM3 outshines its predecessors in term of comfort, and that comfort impressively stays over a prolonged period of use. I had the opportunity to take them onto a five-hour flight and didn’t have any reasons to remove them, in fact, they were so comfortable that I still have them on while disembarking the plane. The headphones are solidly built, I have used the review unit for about two weeks, onboard two flights, travelling across three cities via high-speed rail, having them either on my head or around my neck, and they still look new at the end of the trip. The travelling experience I had with the WH-1000XM3 has made me appreciate the supplied carrying case. This has also been improved with a more rugged nylon material on the external and finally a compartment internally for the cables. Included in the box alongside the headphones and the carrying case is a gold-plated 3.5mm single ended headphone cable, a Type-A USB to Type-C USB cable as well as a plug adaptor for in-flight use. While the WH-1000XM3 is an improvement over its predecessor in many ways, the cables and the plug adaptor for in-flight use does give me the impression that they are more inferior than the ones that came with the WH-1000XM2.